Have you been searching for outdoor activities that are fun for the WHOLE family? 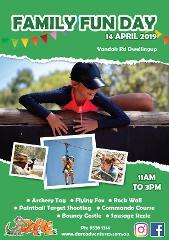 Visit us on our Family Fun Day! You'll get to experience some of our fun and daring activities, right in the heart of nature.